PLASTICREALITY made the animations and authored the DVD for the FOALinMARE project. The resulting DVD consists of 2 high-definition film sequences and 45 minutes of 3-D movie animations illustrating the normal intra-uterine development of the foal, the normal progression of stages 1, 2 and 3 of parturition and the associated abnormalities, prolapse of the bladder, uterine torsion and many other complications pre- and postpartum, including malpostures and malpresentations, obstetrical manipulations, foetotomy, cesarean section, and more. 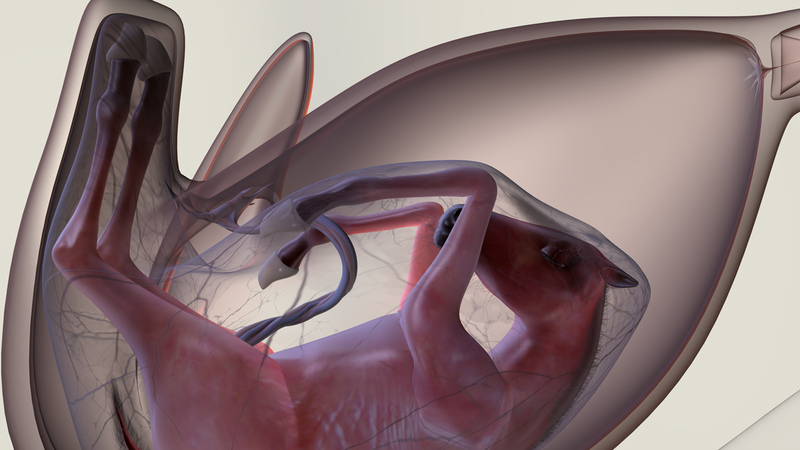 All details thus captured were checked by renowned specialists in equine obstetrics, and scientific considerations prevailed in the design. The entire production comes along with voice-overs in English, Spanish, French, Italian and German. The texts are also available in Dutch, Portuguese, Japanese and Arabic. Hi. Thank you for this great post 🙂 Also I’m a graphic and animation designer.